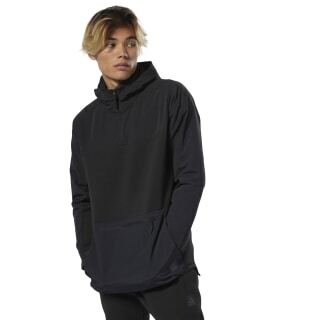 Big blocks of color help you stand out in this men's half-zip hoodie. 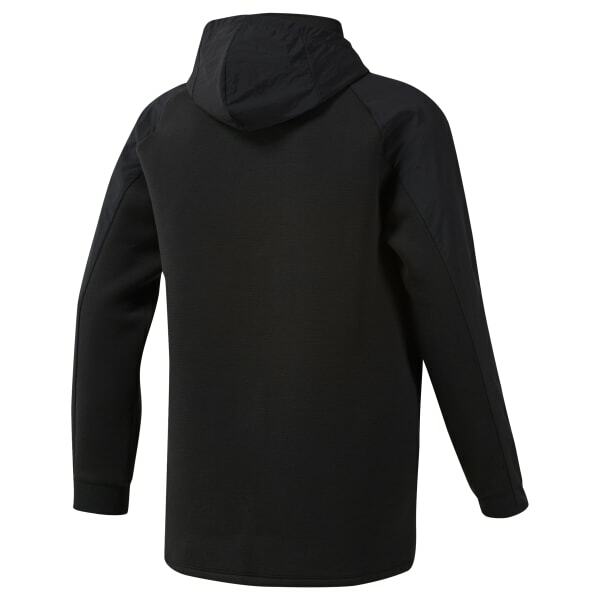 A double-layer hood keeps you cozy-warm, and a droptail hem provides extra coverage. The sweatshirt has a zip pocket so you can stash your essentials.